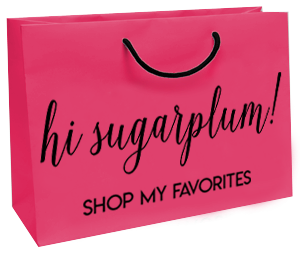 Sugarplum Style, Vol 78 | hi Sugarplum! Happy Monday, friends! Mr. SP and I flew the coop this morning, and with good travel luck, we’ll have our toes in the sand and nachos in our laps by afternoon! We escaped to this property last year right after losing my dad, and it had such peaceful, healing qualities. I’ve been dreaming of going back since the day we left, so we gifted the little getaway to each other for Christmas. We’ve had a crazy cold-snap lately, so this sweater has been getting all kinds of wear. It’s thick and warm, but super soft. The H belt just elevates any casual outfit. Don’t let my casual demeanor fool you, I was freezing here! But I’m basically a walking sale…coat, jeans and boots, all on sale! My sweater comes in 15 colors, too. Fit Tip: I’m wearing XS sweater, and 0 coat. Fit Tip: I have this crewneck sweater in about 4 colors, and always size up to a small for more room. Fit Tip: I’m wearing XS top. Fit Tip: I’m wearing XS cardigan. 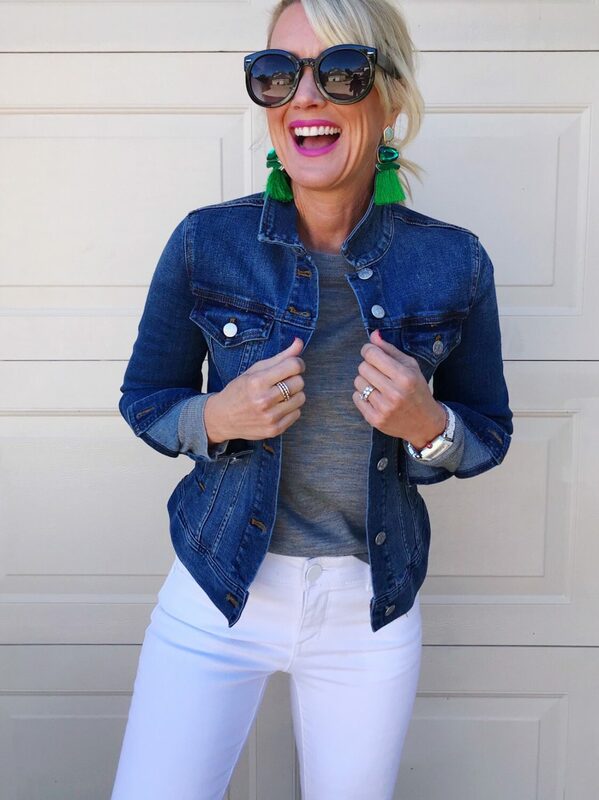 You’ve seen this combo before, but the earrings are finally back-in-stock in TONS of colors, and still under $10! 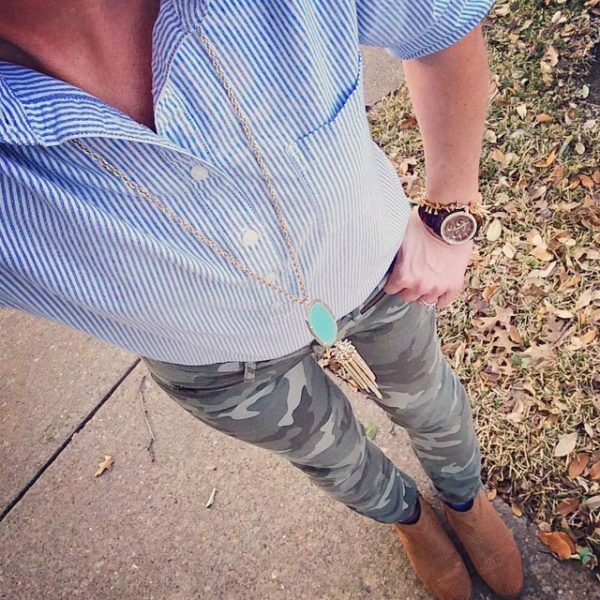 This easy combo is comfy, but still chic, and great for transitional weather. 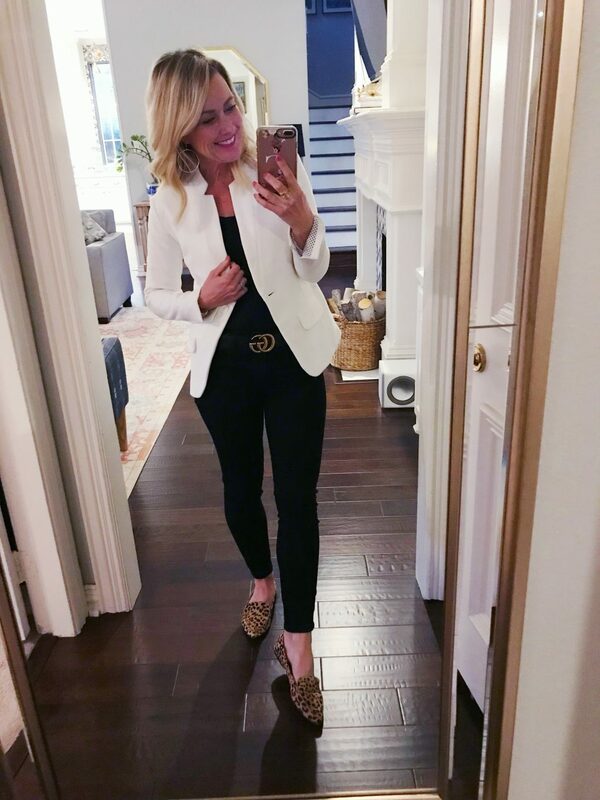 I really can’t get enough of this knit blazer! I find myself reaching for it every time I need to look more pulled together than usual. #adulting I love the fit and collar, and the thick knit makes it extra comfortable and easy to wear. 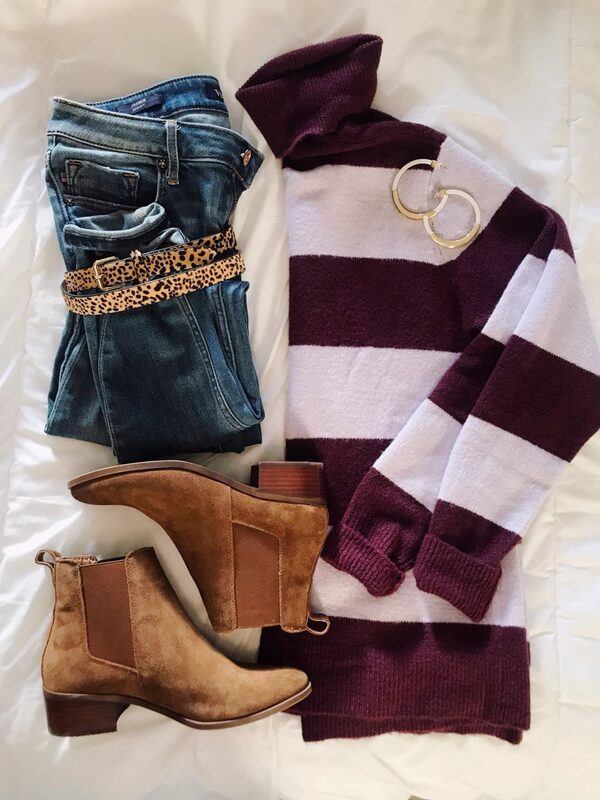 Outfit repeater with this sweater…just changed up the jeans and belt. This caramel color is so versatile for browns and blacks. Fit Tip: I’m wearing XS sweater, it’s an oversized fit. 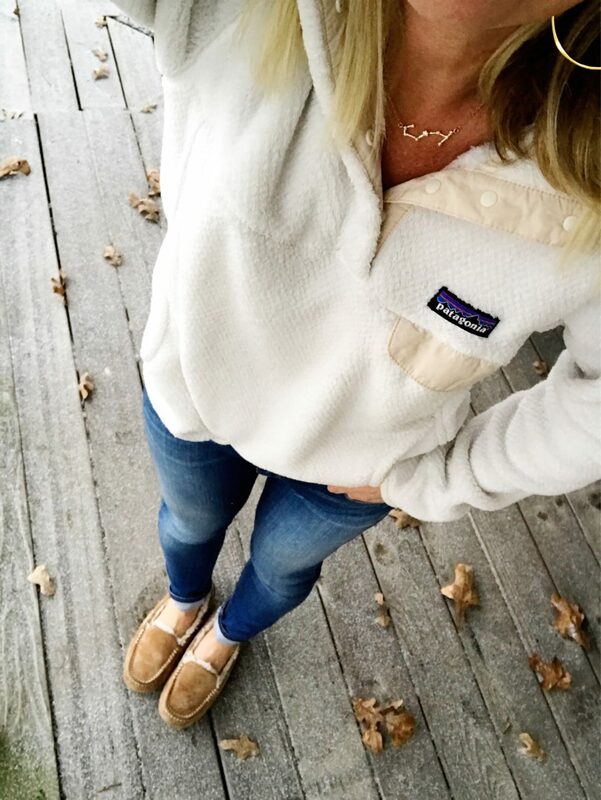 How many Patagonia pullovers is too many? 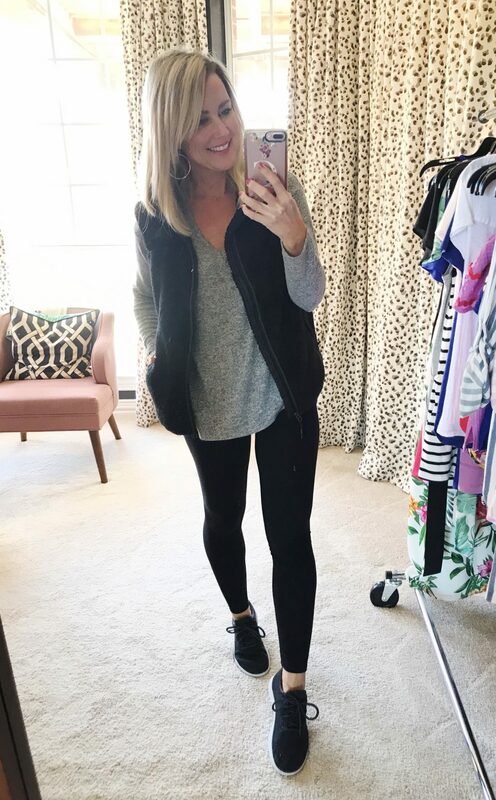 We’re headed to the ski slopes next week and I’m packing all of them! 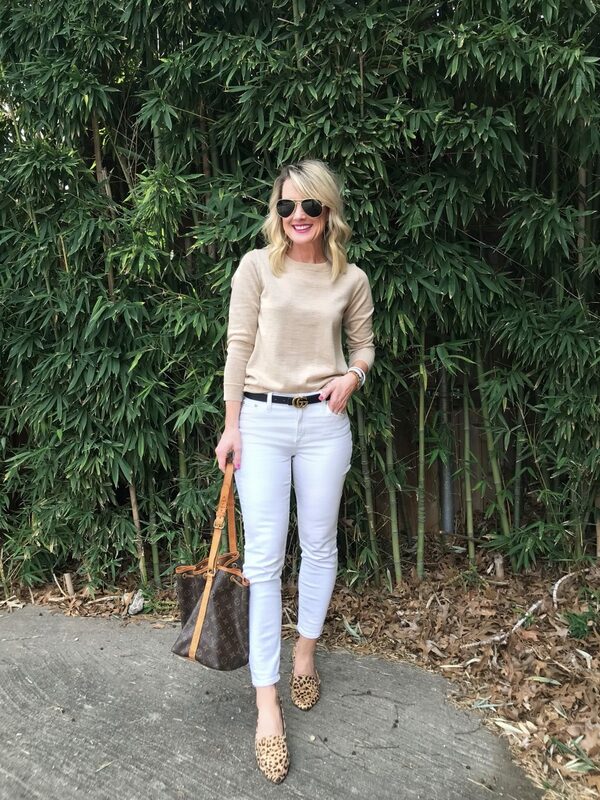 This look is actually from last Spring, but I’ll be pulling it out again soon! The peplum tee is back, and in a full range of colors. One of my favorite sweaters this season, now on sale! (And available in other stripe combos.) These boots are my most-comfy, and certainly most worn. 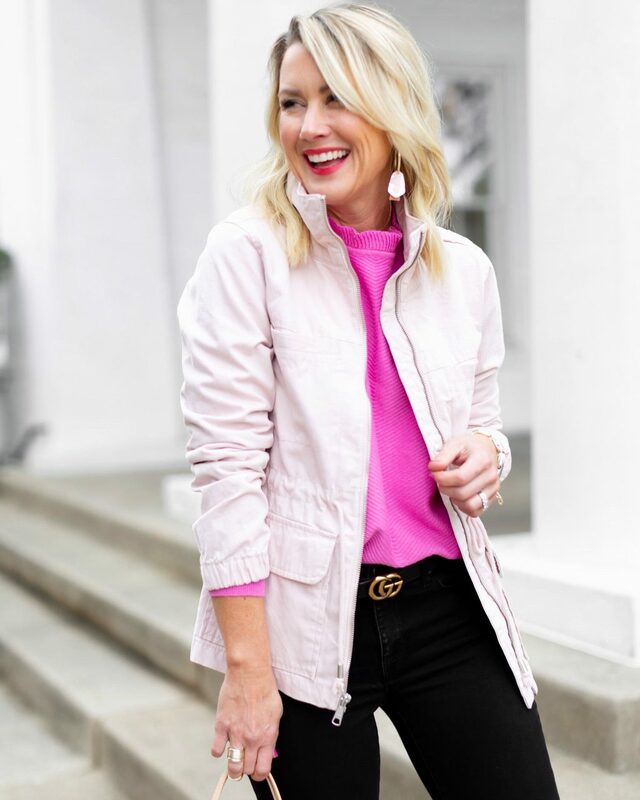 The best affordable utility jacket around!! I have it in 4 colors. 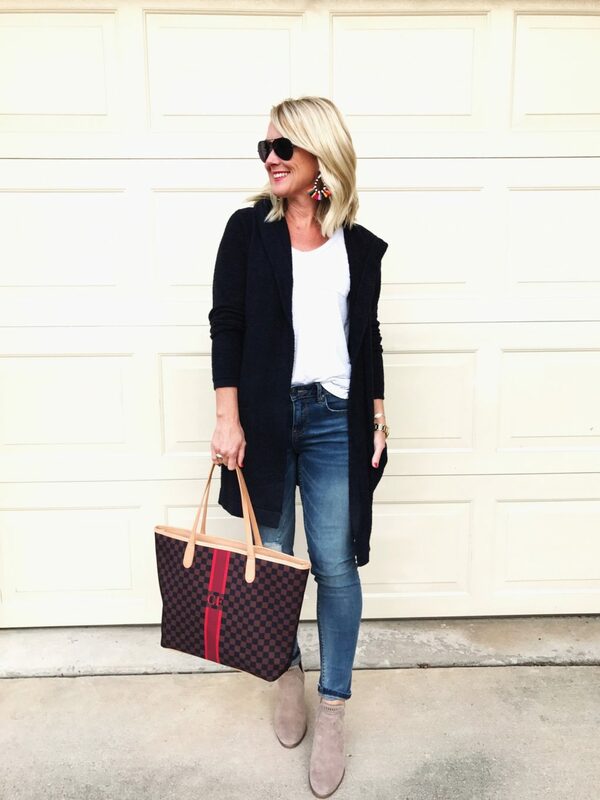 Fit Tip: I size up one in the sweater to a small, but jacket is usual XS. 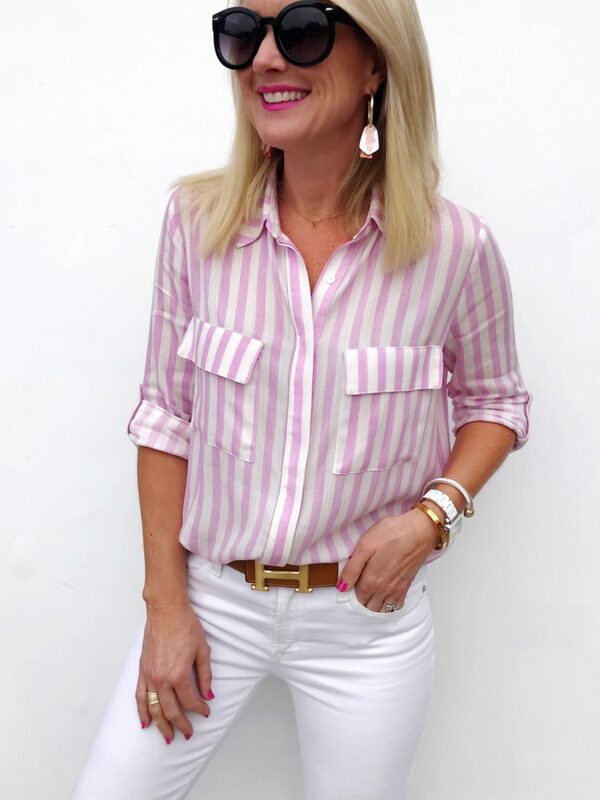 I packed this striped tunic for Mexico…so cute with shorts, but also makes a super cute cover-up! Fit Tip: It’s an oversized fit, I’m in an XS. 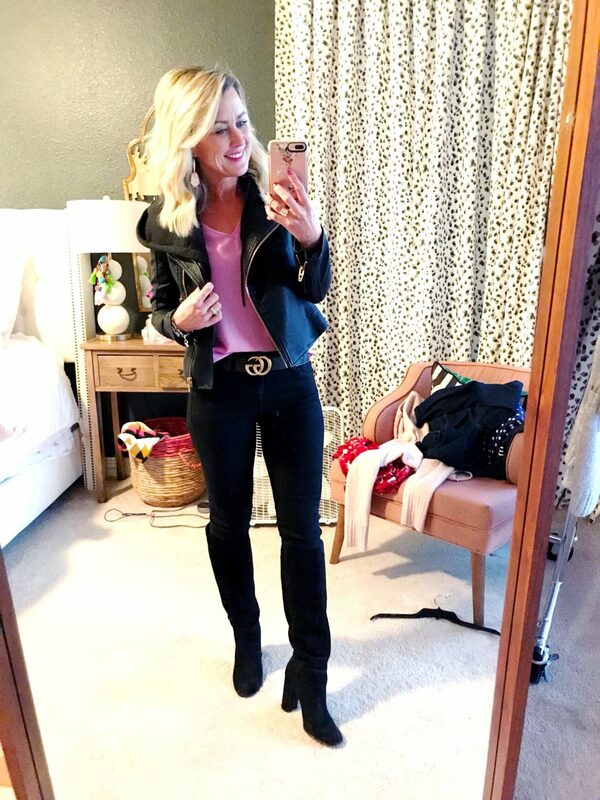 Took my new halter top on date night, thanks to the addition of boots and a Moto jacket. Simple, but chic. It may not be my usual colorful style, but this was definitely one of my favorite outfits of late. 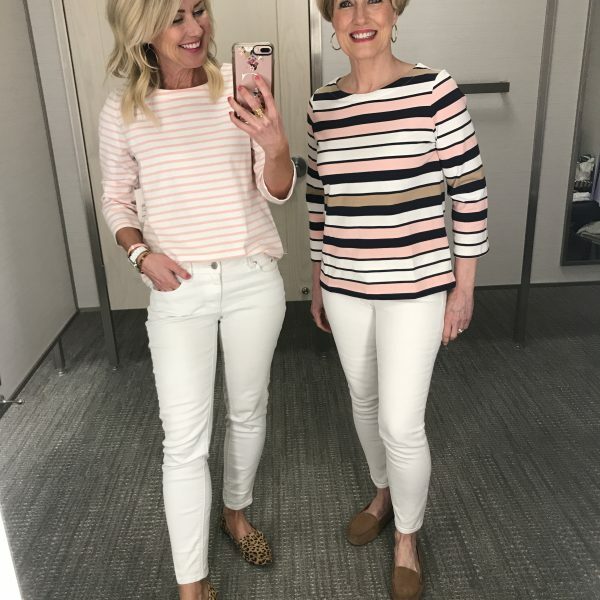 Another great Spring transitional style I hope to have back in rotation soon! 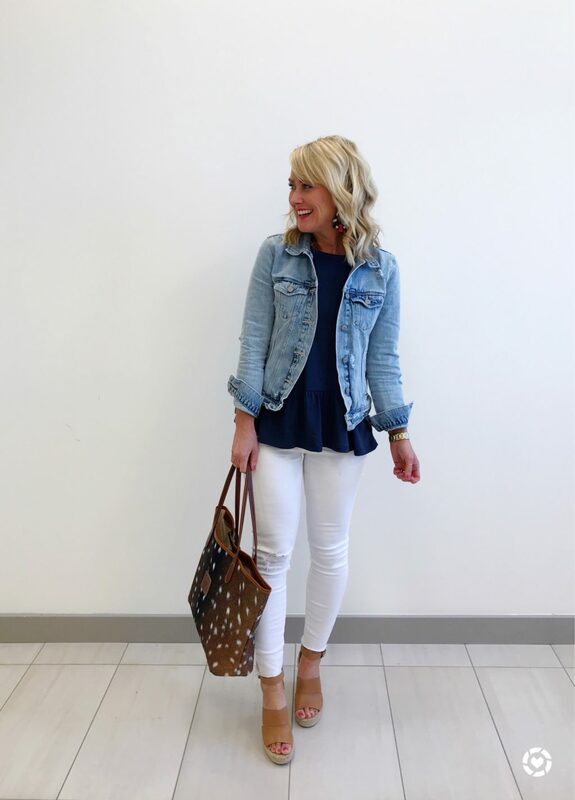 Peplum + Miller sandals is one of my go-tos for in-between weather. Fit Tip: I’m wearing an XS top, but size up half in the sandals. 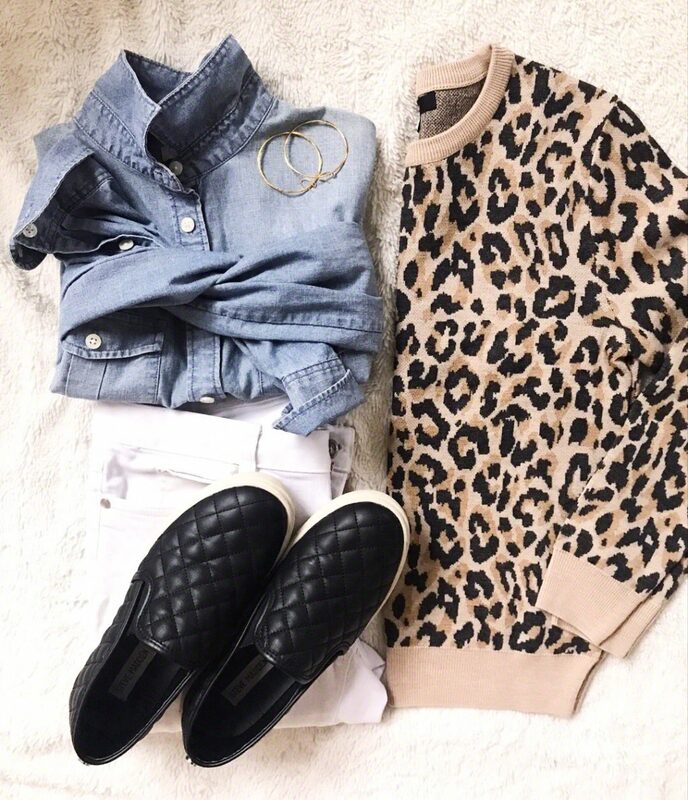 My fave leopard knit, finally back in stock! 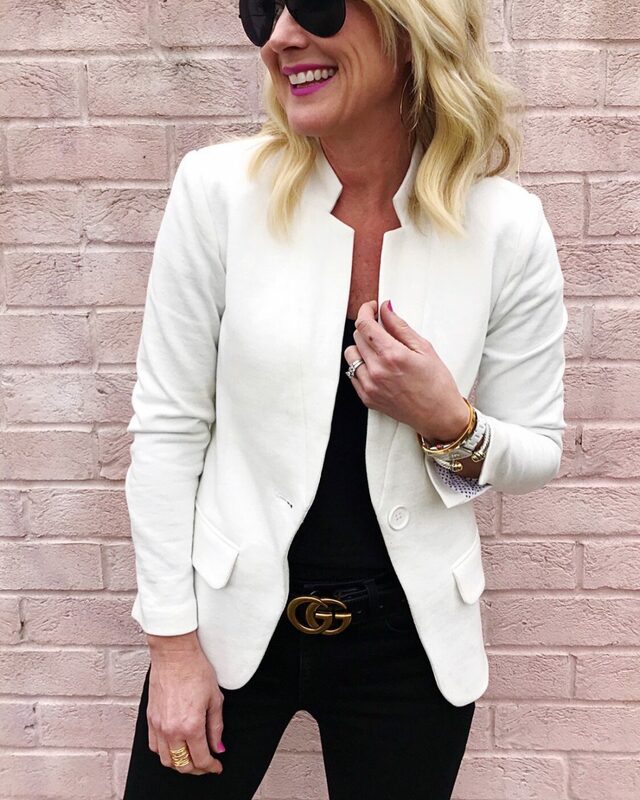 I wear it virtually year-round, and especially love it paired with chambray. These slip-ons sneaks are a great running around shoe with a streamlined silouette. Fit Tip: I size up to a small in the sweater for more relaxed fit. 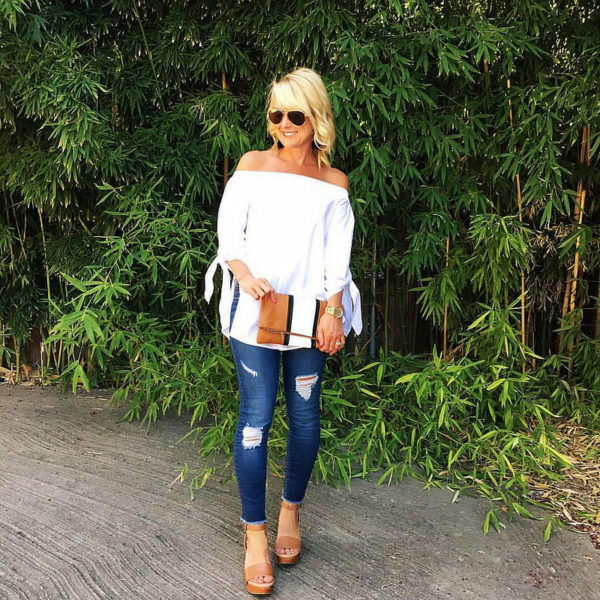 I’ll leave you with two Summer styles I packed for Mexico…more peplum & sandals, and my trusty cut-offs. 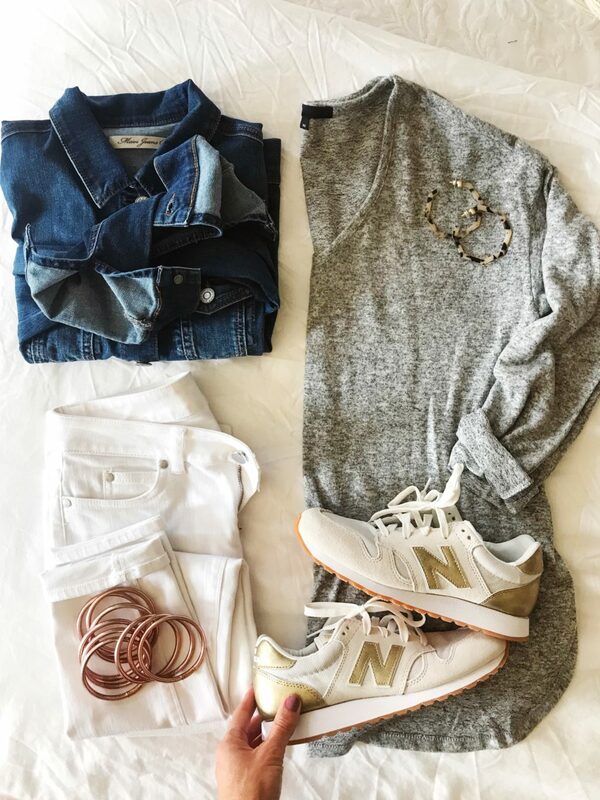 Fit Tip: Tee and shorts true to size. 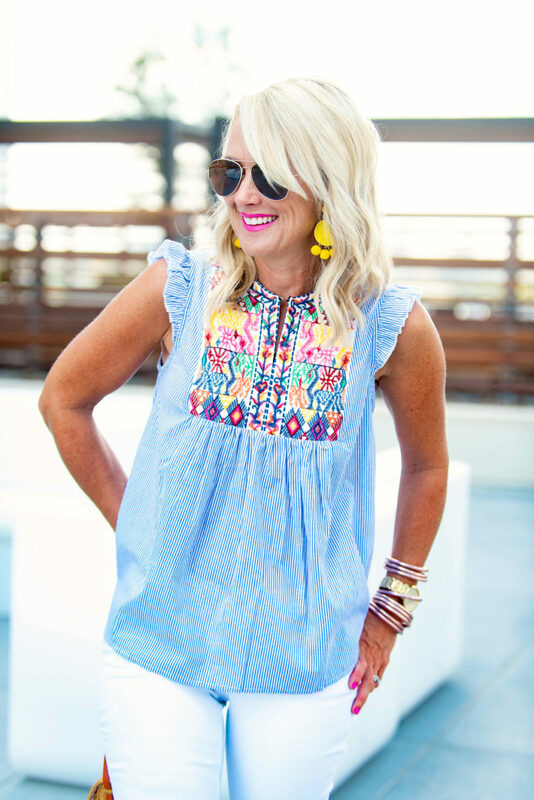 This darling ebroidered top from my very first Amazon Fashion Find last summer is back, and in a variety of fun colors! I packed it with some white cut-offs. 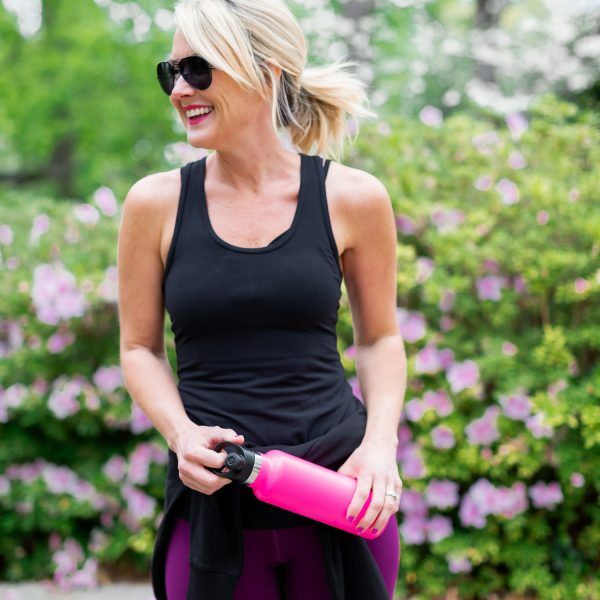 Fit Tip: Top runs small, size up one. Also, it comes with fun tassel ties, but I cut mine off. That’s it for today, I hope you found some new outfit inspiration, and fresh ideas for mixing things up in your closet! I’d love to hear what new combinations of patterns or colors you’re wearing. And in case you missed it, I shared all the updates on Gibson x Hi Sugarplum Resort Collection re-orders in this post! Everything is SO CUTE! And I wish they’d bring those white wit and wisdom jeans back! I love how you’re talking about transitional clothes in February. You clearly live in Texas! We’ll catch up to you in Cleveland in April! Beautiful mix&match combinations, but I’m still drooling over your link to BackCountry and that Palm Springs resort! Hoping to see PS very soon! Happy Monday! 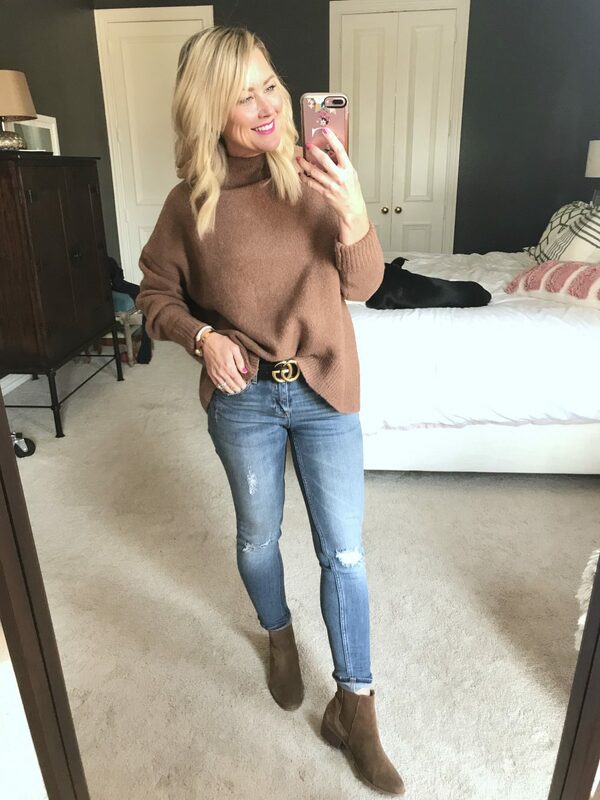 When you wear the brown “Chelsea” style booties (in the pic w/ the striped sweater) do you roll your jeans or tuck them in? I never know quite how to style them. 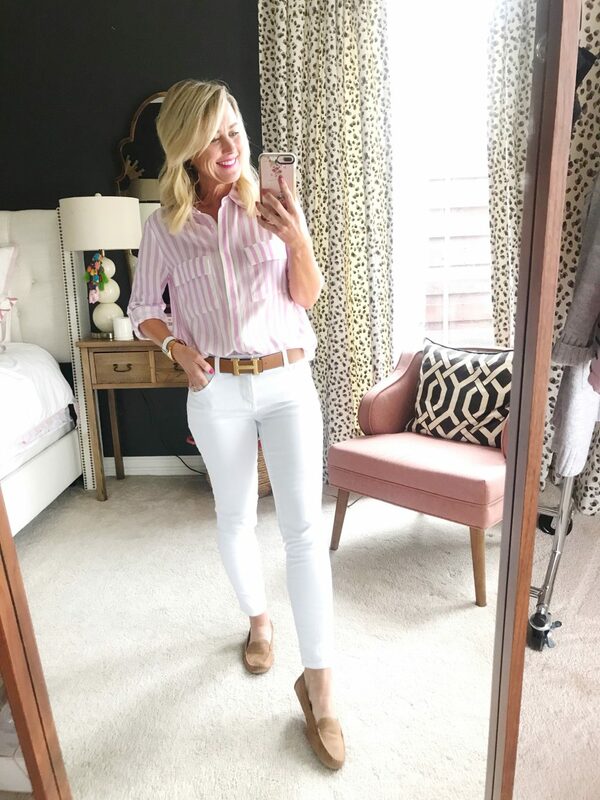 So many cute spring finds! 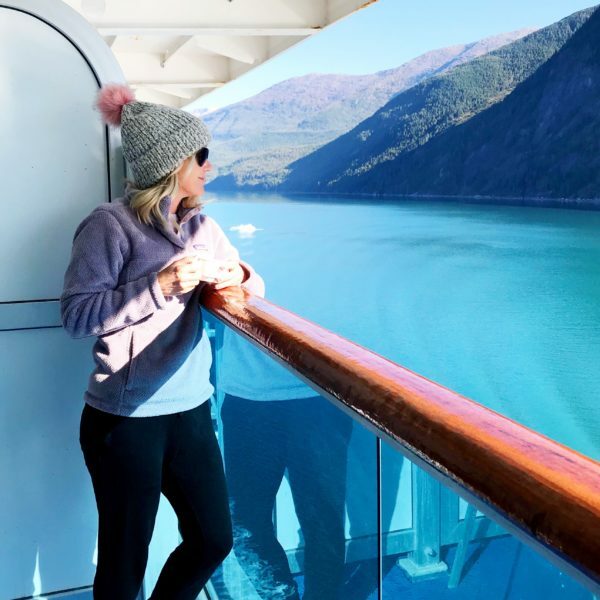 Hope you have the best time on your getaway!